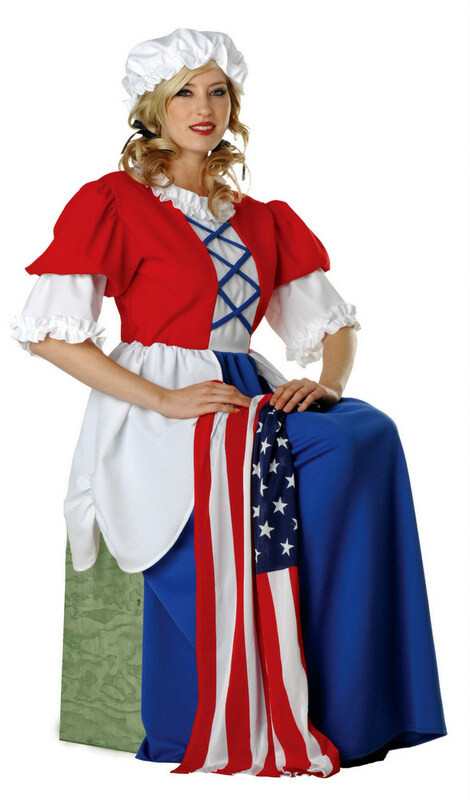 Be a part of American history in this adult Betsy Ross costume! Includes red, white and blue poplin dress and white mob cap. Flag, stockings and shoes not included.